Portable, self-contained processing equipment is available from a number of manufacturers. These devices perform all the steps of gold concentration: washing, screening, and separation of gold. Additionally, they are easily moved and many have self-contained water tanks for use in dry areas. Designed for testing or small scale production, these machines are capable of processing 2 to 8 cubic yards of material an hour, depending on the unit, usually with fairly high recovery. 4 feet high, weighing 590 pounds, the unit features a trommel, riffles, water pump, and a water tank. An attached 2-1/2 horsepower motor provides power for all systems. The riffles are removable for easy cleaning, and the unit can be disassembled for transportation. 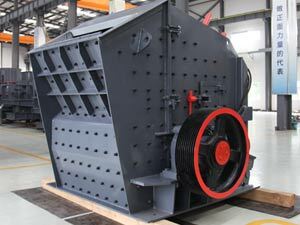 During processing, feed enters through the hopper where it is washed and broken up in the trommel. Minus one-quarterinch material passes through the screen into the sluice. The sluice, which is made of molded urethane, vibrates during processing. The vibrating action increases recovery of fine gold by preventing compaction of accumulated material. Heavy minerals collect in the riffles while waste is discharged out the end. No data is available on performance, but properly operated, this machine should outperform a simple sluice. 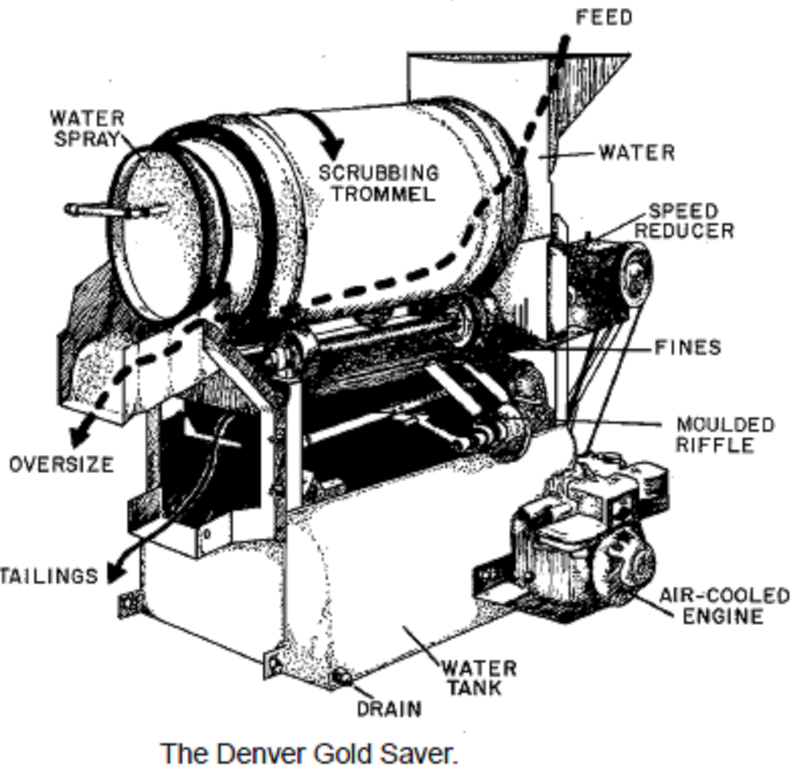 Devices similar to the Denver Gold Saver are manufactured by other companies. One called the Gold Miser is manufactured by Humphreys Mineral Industries. Another device produced by Lee-Mar Industries features a Knelson Concentrator instead of a sluice and has a simple screen instead of a trommel. The unit has no water tank, only a pump. This device weighs only 315 pounds and features greater potential recovery with the more efficient Knelson Concentrator. Other portable units include large, trailer-mounted concentrators similar to the Gold Saver and small, simple devices utilizing rotating tables to collect gold. Portable, self-contained processing units are used for testing or mining small placer deposits. 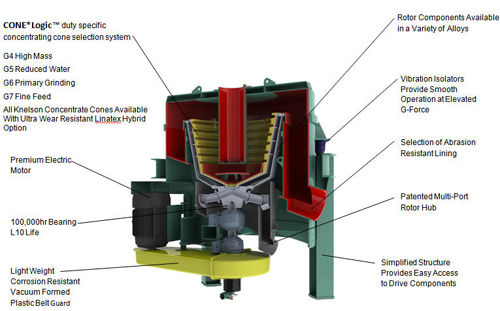 Advantages include portability, compactness, self-contained water supply (some models), and good gold recovery. Disadvantages include a fairly high initial cost ($2,000 to $8,000 depending on manufacturer) and low processing rates. Overall, these machines are simple, workable gold recovery units. Although amalgamation is not strictly a recovery technique, it is used in many operations to increase gold recovery. 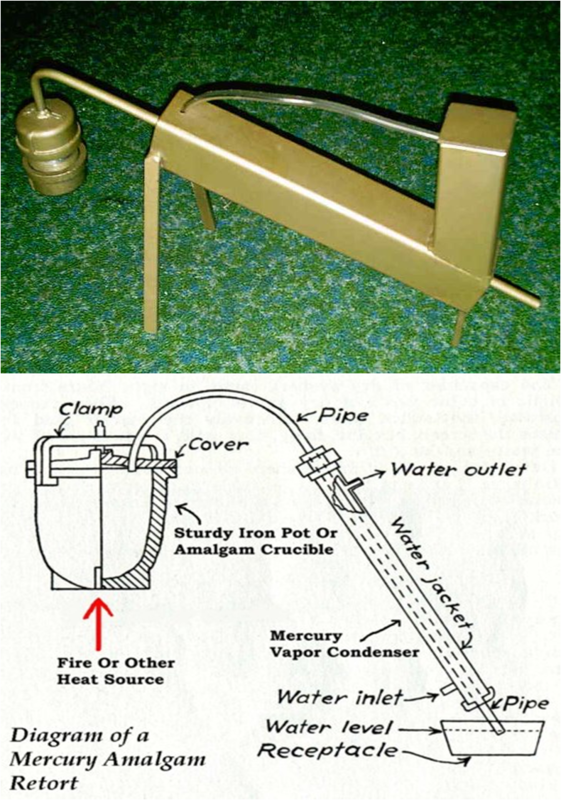 Basically, amalgamation is the practice of bringing free gold into contact with mercury. When clean gold comes into contact with mercury, the two substances form a compound called amalgam. A large nugget of gold will not be completely converted and only a thin coating of amalgam forms. Since mercury is only slightly heavier than gold or amalgam, these will stick to a thin film of mercury or collect in a pool of mercury. and mixes with the mercury. the gold is retained as amalgam, while the other material overflows into the mill circuit. Occasionally the amalgamation process does not collect as much gold as anticipated. Unsatisfactory results usually occur when the formation of amalgam is inhibited due to poor contact between the gold and the mercury. This happens most commonly when the gold is very fine or when it is tarnished by a surface film. Also, the feed material may be contaminated with grease, oil, or any other inhibiting agent. 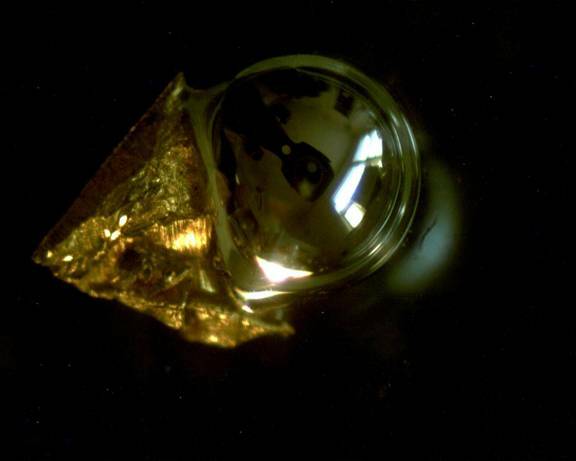 In addition, agitated mercury has a tendency to form very small droplets, known as “flouring.” Floured mercury does not effectively collect gold particles and may escape the recovery system. The greatest potential disadvantage of amalgamation is the health hazard presented by mercury. Workers must be protected from inhaling the vapor and from accidentally ingesting mercury. Extreme care must also be taken to prevent the escape of mercury into the environment. Experience and concern are necessary for the safe and efficient use of mercury in placer gold recovery.